Managed WordPress hosting tends to cost a bit more than shared WordPress hosting. For the additional cost, you usually get some guarantee on uptime, faster average load times, and a higher tier of support. Kinsta was launched in 2014 and has quickly become one of the fastest and most reliable WordPress hosting companies out there. Companies like GE and Intuit host with them, but they have tons of smaller websites as well. Speed matters no matter how big you are. They recently added more lower-level (cheaper) pricing plans that make Kinsta much more accessible to smaller podcasters and bloggers. All of their plans include a CDN from KeyCDN for free too! My favorite features are one-click staging, 24/7 support, and of course having the fastest server around. Some other nice features are the ability to choose where in the world your server is located for each site (this helps a ton with more local-oriented sites) and one of the best-looking and easiest-to-use dashboards around. Check out our full Kinsta review. If you want to give your listeners and readers a great experience – and don’t want your website to crash when you get featured on that big news site, host with Kinsta. Flywheel has a bunch of features focused on agencies building WordPress sites for clients, but that doesn’t mean they aren’t an excellent choice to use for yourself. They just (August 2018) upgraded to the Google Cloud Platform, added free CDNs, upgraded caching, and more… all for the same price. Now is definitely the best time to sign up. What’s great about Flywheel is that they take care of all the technical stuff for you: migrations, security, server upgrades, backups, and more. They fine-tune all their servers for WordPress so you know it will be blazing fast for you and your readers. They also have some of the best support around – you can even call and talk to a real person! Sign up for a year and get 1 month free. WPEngine is another popular managed WordPress host that is used by many companies, large and small. They include 1-click staging and have the ability to handle massive amounts of traffic to your site. A CDN will cost you $20/month extra and if you want your website to be hosted outside the United States, it’s an extra $10/month. They do tend to offer coupons and discounts frequently as well, like this 20% off coupon for a personal plan (coupon code WPE20OFF will be applied automatically, but you can use it on any plan). Bluehost has a new managed WP Pro service that starts at $19.95/month for unlimited traffic. There’s a 30-day money-back guarantee as well. InMotion has several different plans, with VPS hosting and managed WordPress hosting being the two most people would be interested in. They use SSD drives, NGINX, automatic backups, free SSL, and more. The prices are excellent for what you get and this is a great way to get started with fast managed WP hosting at a great price. I used an InMotion VPS server for a nationwide franchise and they had great support and speed. They include a staging plugin that works well, but it doesn’t seem to work with Genesis or other themes that build off a framework. *Pricing and features based on entry-level plans paid monthly. Discounts for annual plans and higher tier plans are available. Shared hosting means that you share server resources with other websites. Because you typically don’t know how many other people are sharing the server and how popular they are, this is pretty much a gamble on how well it will perform at any given time – no matter what company you go with. Sure, it’s cheaper, but definitely at a cost. VPS stands for Virtual Private Server and that means that one server is segmented into virtual parts. You will get dedicated resources that can’t be used by others on the same physical server. 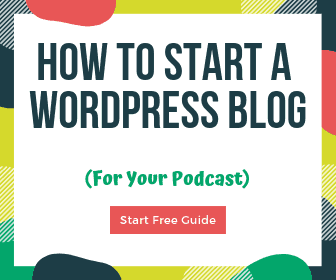 Many of the managed WordPress hosts above actually use this approach – and it works well. 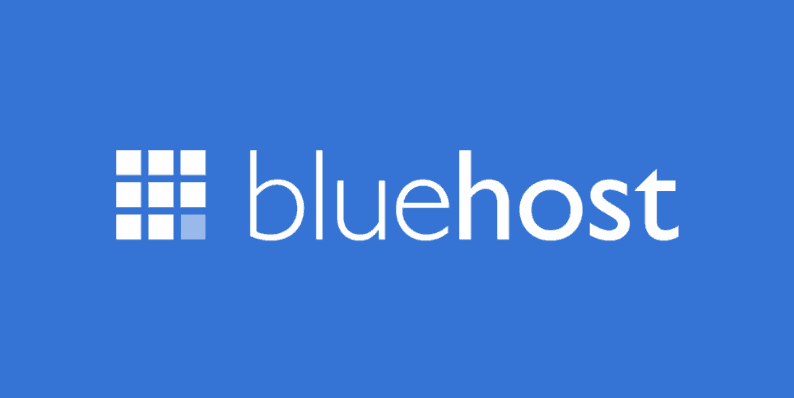 Bluehost is a popular hosting company for bloggers and podcasters of all sizes. They have one of the easiest WordPress setups around, great pricing & features, and have been around a long time. Over 2 million sites trust Bluehost to power their business or hobby. Even WordPress recommends using them. They have all different tiers of hosting: shared, VPS, dedicated, and a new managed WP Pro plan (mentioned above). Recent tests from other respected sites show they have 99.99% uptime and quick load times. They also have 24/7 customer service so you can get questions answered anytime. I’ve used DreamHost for years to host many different sites. I started with shared hosting but found it lacking even for smaller sites so I upgraded to a VPS server. The process was really easy and it helped performance a ton. If I ever want to experiment with a site, I’ll usually start here as I can put as many different websites (domains) on a single server as I want. I currently use both this VPS server with 1GB RAM and an optimized & managed WordPress host for larger sites. You also get a free domain name for a year when you sign up. Because I host with them, I can offer you a $50 off coupon with this link. Enjoy! Siteground is one of the few I haven’t personally used, but they consistently get great reviews and testimonials from their customers. I would recommend the GoGeek WordPress hosting plan because it includes 1-click staging, additional caching, and more server resources dedicated to your sites. There are many other popular WordPress hosting platforms, with many of them focusing on the shared and VPS segment. As I get time to test them we’ll add more info about these and move them into their proper sections above. and start putting out content! In Bangladesh, we built a solid platform for wordpress hosting. Specially with our talented support team. BDServerHosting.com claims the Best Web Hosting Company in Bangladesh. I’m still waiting for some hosting expert to test all hostings in real life not just list hosting companies with affiliate links 🙂 How can you say which one is the best if you haven’t even tried it. Useless article. There is no best WordPress hosting, there is the best hosting for each site type. If you have a solid one-page portfolio WordPress site with 1000 visits per month, why the heck you would need 100$ per month hosting? If my site has 50k per month UV, and you say that the best hosting is Kinksta, but maybe it is HawkHost? If it’s the most popular, it does not mean it’s the best. Hey Elvis, thanks for the feedback. 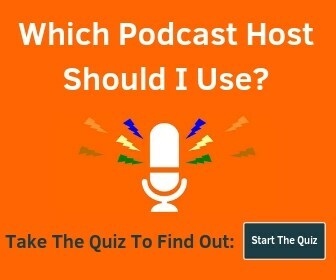 I’m pretty sure I mentioned in the article that I’ve used all of these hosting companies (I pay for Kinsta & DreamHost right now) – and I also recommend people start with cheaper options (like from DreamHost or Siteground), especially if they need hosting for a hobby (vs a business). Kinsta is FAR from the most popular, at least in the digital agency world. Lots of people I’ve talked to have never heard of them.. I’m trying to change that though because they’re excellent. All of the companies I’ve mentioned are well-respected, top-tier options that care about their customers. In fact, I just met a few people from Flywheel yesterday – they’re awesome! At this point, hosting is basically a commodity so companies have to differentiate themselves with additional features, support, content, etc. And yes, this site is a business so of course we monetize with various partnerships where it makes sense. Sure, I was a liitle bit harsh there, but I think you got the point 🙂 Because I have seen so many posts where they say that namecheap is amazing hosting, while it’s the worst out there etc. I checked Kinsta, quite expensive, but maybe I will give them a shot. Actually right now it’s hard to get good hosting with full CPANEL options. That’s why i’m sticking with hawkhost right now, but as one of my sites soon will reach 500k-1milj views per month, I’m starting to worry about how they will handle them.